This is, by far, the champion recipe for mosbolletjies! 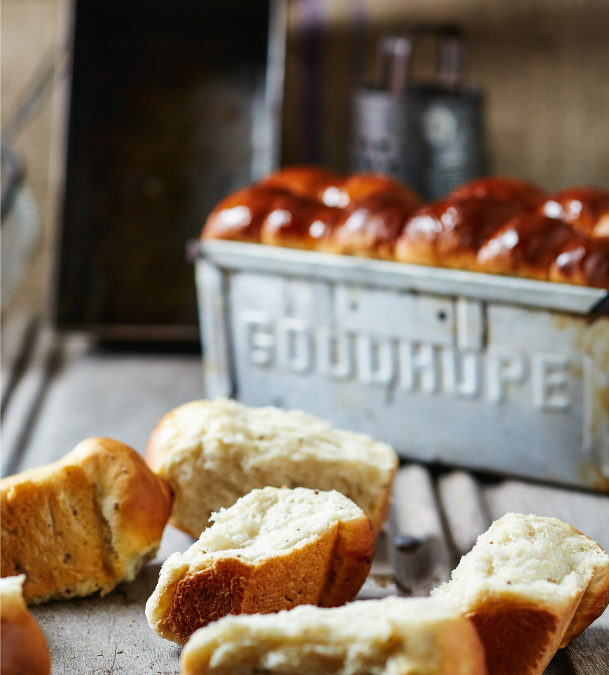 My Langebaan friend, Rina Koch’s mother was always the queen of mosbolletjies when we lived there – she shared this wonderful recipe with me years ago and I ALWAYS think of her so fondly when I bake it!!! The ultimate treat is to eat them fresh from the oven, with lots of butter. Some restaurants and coffee shops serve mosbolletjies instead of bread and this definitely attracts customers. (THINK HEMELHUIJS!!! In Cape Town) They serve it with extra virgin olive oil and the most amazing dukkah. 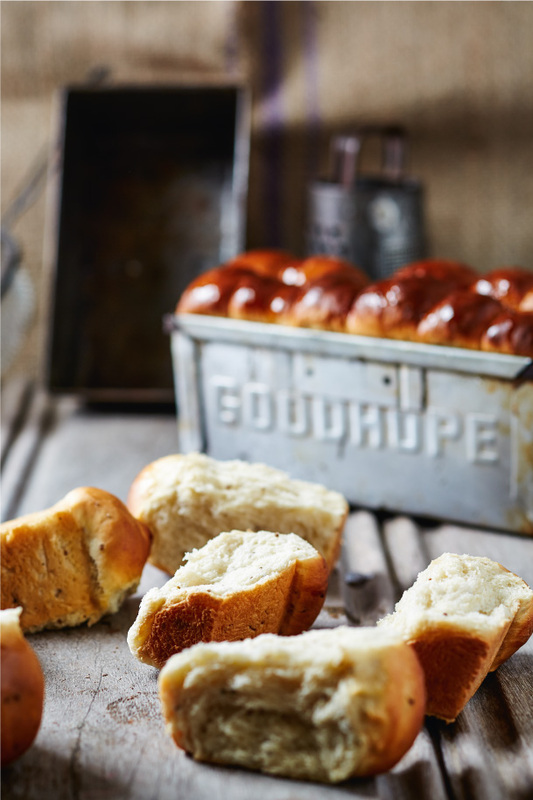 A freshly baked loaf of mosbolletjies also makes a wonderful gift for neighbours and friends. This recipe can be halved but if you can – make the full quantity, share, dry or freeze what you cannot use. Cream the butter and sugar together in a large bowl. Add the condensed milk. In a separate very large bowl, sift the cake flour, salt and the yeast together. Mix in the aniseeds. Add the lukewarm water to the egg and butter mixture and stir gently. Add the liquid ingredients to the dry ingredients and knead the dough well. Place the dough in a very large, oiled bowl. Cover well with clingfilm and leave in a warm place (not too warm – it will kill the yeast) to prove until doubled in volume. Knock down the dough and shape it into balls (golf ball size). Place the balls in three large and well-greased bread tins. Pack them tightly. Leave to rise once again – it must at least double in volume again. Bake for 10 minutes and then lower the oven temperature to 160 °C and bake about another 20 minutes until golden and brown and cooked. Brush with the sugar syrup as soon as you remove the loaves from the oven. Cool for a few minutes and remove from the bread tins. You can cut or break the balls apart and dry it out to make rusks. Dry out at 80 °C for about 4 hours. Serve with home-made preserves to take the nostalgia to a whole new level! Mosbolletjies are traditionally served with pickled fish – do that for a delightful light lunch!